Wow it is getting cold. While it might be cold outside it doesn’t have to be cold inside. 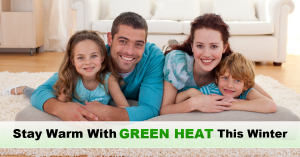 Many people associate heating the home or office with huge heating bills. With the cost of electricity skyrocketing it is important to focus on reducing our electricity consumption. It is also important to reduce consumption as we live in a world with finite resources. That means they will run out, and if we don’t find ways to reduce our energy consumption and use more green energy we may find the world left for our children is a very hard place to live indeed. The good news is there are many things we can do to reduce our energy usage and that doesn’t mean turning off the heat. ICE Solair are the world leaders when it comes to creating and supplying energy efficient products. We have been working hard since 2008 developing and delivering solar heating and solar air-conditioning. In addition to this, we have teamed up with other world leading technology providers to bring the future forward to today. Typically most homes, 30% of the power bill is associated with heating and cooling. Businesses it is often in excess of 70% of the power consumed! As you can imagine, using a system that can reduce your operating expenses by 30 to 50% relative to your conventional old inverter system, can equate to large cost savings to the home or business owner. If you want to heat your home or business, and reduce your energy consumption at the same time, we invite you to explore ICE Solair’s very own technologically advanced reverse cycle solar air-conditioner to satisfy all your heating and air-conditioning needs. ICE Solair’s energy efficient solar air-conditioner uses heat from the sun to improve the efficiency of the system. We have the full range available up to 14kW . Due to popular demand please contact us via a contact form on the website and let us know the best time and number to call you back on. One of our experienced solar specialists will contact you to work through your requirements to find the most appropriate system for your needs. For the first 50 orders until the 15th June we will be including a free energy appraisal (Valued at $200) of your home or business to see how you can reduce your energy consumption further and what steps should be taken to future proof you against power price increases. 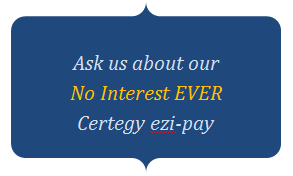 Remember you must ACT NOW to take advantage of our generous offer.